It's Mariam who is now trying to cover up her STUPIDITY with social media GOONS! Even the people who think with their dicks can think better than FERRARI!! Aur ye GADHI AURAT PM bannanye chali thi! Classic case of shoot the messenger, not the message. Who made patient ID public in the first place? Oh Creatinine or BUN dikhao to manain kidney kharab hai! 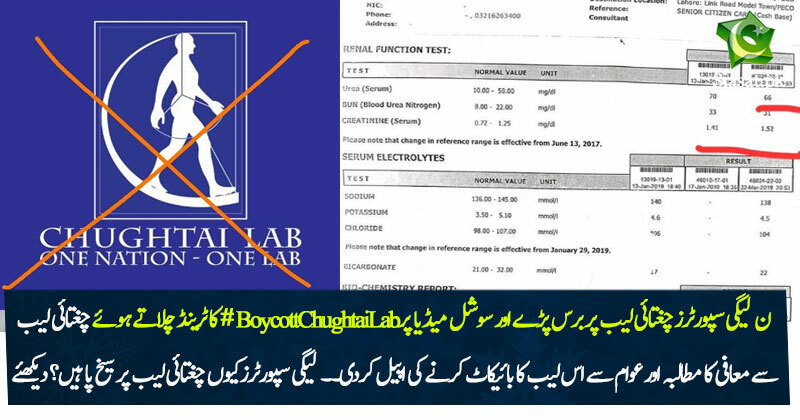 I am telling you with 100% authenticity MR NS himself told jail staff categorically get his pathology reports from Chughtai Lab not from Shaukat Khanum Lab when his initial tests were to be performed soon after his arrival in Kot Lakhpat Jail. hamesha ki tarha ferrari ne apne hi abbay ko aur muskil mein daal dia jhoot bol ke. Ferrari samajhti hai ke PMship uska birth right hai. Her biggest achievement is being born to Nawaz Sharif. She thinks she is Benazir. Adayala ka chakkar laga kar bhi koi hoosh nahi aya. Ganjay ko bhi bila waja wapis le aye apna political career zinda rakhne ke liye. Ganja ko chaiye tha araam se London mein rehta aur apni biwi ki sewa karta aakhri dino mein is ke bejai ke Adalay ki sair karta. Yaad he jab wapis aa rahe thay paid lafafa journalist ke saath to samajh rahe thay ke awaam ka sumandar unhe receive karne poonchay ga? Kidhar gaya woh thaathay maarta hua sumandar? Ro is liye rahey hain ye haram khor k reportay theek nikla i hain, kaisey MC hain kush honey ki bajaye ro rahey hain, in khanzeero ki kismat Main hi rona hai.